Communications, Products & Services, Inc. gets a FIVE STAR RATING from our company!! We are a manufacturing facility that measures 250,000 square Feet. Our plant communication needs range from a switchboard and approximately 65 telephones, to a paging system that ties in with an emergency alert system. They recommended & installed our equipment initially, and have helped us upgrade as our company has expanded over the years. They’re extremely knowledgeable of the system and its many capabilities. Whenever we do have problems, they’re quick to respond. If it’s a minor problem, (e.g. a programming question), they help us over the phone. Otherwise, for the major problems, a service technician is on his way, usually the same day. The staff is very friendly, courteous, and professional. We would recommend them to be your communications vendor no matter what the size of your business! We have worked with Communications, Products & Services for many years and on many projects, including telephone system installation, data cabling, wireless system setup, security camera setup and others. In an industry that is not always known for top notch customer service and response times, they stand out drastically. I always know I can count on Communications, Products & Services to deliver what needs to be done, on schedule, on budget and they are a pleasure to work with. The examples I have of when they have gone the extra mile are many and it is appreciated. Thanks! Initially, we used CP&S for an existing phone system in our 8,000 SF office building in Ralston. Since we used CP&S when opening our Lincoln office 8 years ago where we had CPS install phones and security cameras. 6 years ago we moved our Omaha headquarters into a 40,000 SF facility. CP&S did the phone and data cabling, phone system and security cameras. ***** 5 Star, Over the last 15+ years they have not only handled the installation and upgrades of our phone and security systems in all of our 7 locations, they have coordinated with third party vendors for all of our MPLS and IT needs. If an issue comes up with any of these services I call them first to get solid advice on who to contact and what questions to ask to get things resolved and or up and running as quickly as possible. Always a fast response never left hanging, always a follow-up call to make sure things are good and we are happy. 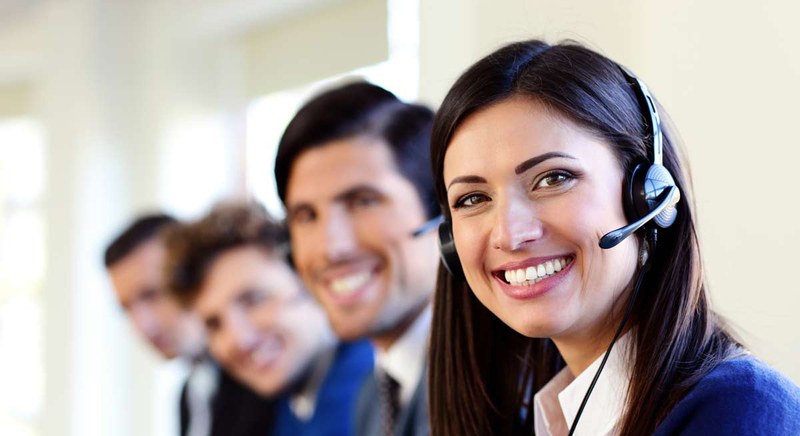 One of the few companies in the telecommunications business with excellent customer service. We’ve enjoyed doing business with Communications, Products & Services, Inc. for many years. We’ve been through installations and upgrades and we’re always impressed with the high-quality work they do, analyzing our needs, installing & maintaining our equipment, and training us to use it. When we initially installed our current system, they worked over a weekend to make sure we were up and running on Monday morning. We’ve never had a problem or situation that they have been unable to resolve. Their personnel seems to know every detail of each system they carry and can troubleshoot over the phone with uncanny accuracy. We’ve enjoyed our long relationship with CP&S and look forward to its continuance. For years I had a data rack that was antiquated and over the years the terminations and cable management was very sloppy and disorganized. I turned to CP&S for a solution to get it cleaned up and secure. CP&S ordered the perfect data rack and patch panel and worked around our manufacturing schedule and came in with me on a rare Sunday when our facility was shut down and completed the job. The technicians meticulously tagged every cable and termination as he pulled all of my equipment and cabling out of my old rack and installed the new rack in a very organized and professional manner. This job was critical and timing was critical. If the job was not completed in time our plant could not start up that evening. Everything went as he planned and we had no problems starting up. For about 7 years I have been counting on CP&S. I am a network administrator in a manufacturing facility and office with over 100 computers and 15 servers spread out over several buildings. I have my hands full with daily activities and the last thing I need is to worry about data and phone cabling issues. Luckily I have CP&S that I can call with confidence and know they’ll quickly take care of whatever I need. Whether it’s installing a new phone jack or wiring an entire new wing during our office remodel, they have gotten the job done. Communications, Products & Services, Inc. is the best company we have worked with for communications support. Sometimes technically knowing what our company needs and explaining it in technical terms to get the correct result can be difficult. But CPS can be that liaison for you. Always willing to listen, communicate and be your support person with other vendors if needed. We are very pleased with every aspect of their service. It’s nice to have them on our team. We have done business with CPS for nearly 15 years and have been extremely happy with all of the services provided by CPS& and their staff. CPS evaluated our phone needs and equipped us with the system that serves our Company perfectly. The service department is quick to respond to our calls and most helpful. We consider CPS a valuable friend in a busy communications world. We have relied on Communication Products and Services for all of our phone, data, and video cabling systems for over 20 years. They are always reliable, responsive and reasonable and have worked with us and our other vendors to find the most efficient systems available to fit our needs. Of the multiple facets of our operation that they support, we never have issues that they cannot efficiently solve. We have their phone system, networking system, and camera system. All work very well and were the right products for our application. These guys know their business and prove it consistently. We have worked with CP&S for over 20 years. We are a repeat customer who has partnered with CP&S as our business has grown. Five years ago, we chose CPS to join the family of companies that provide support and services to our Dealerships. They have worked on several small projects like pulling and installing data lines in our shop for new technicians and troubleshooting our paging system. Most impressive, was when we had them do the layout / install of the Voice, Data, Camera and Server Room for our new 20,000 square addition to our Subaru Building. We invited them to sit down with us once we received the first rough draft of blue prints for the addition. CPS helped us think about furniture layout which affects the placement of data / voice outlets and gave several suggestions to avoid issues in the future. The CPS team provide us with cost saving options as well. Every time we have them show up and complete work for us they always make sure that they have our best interest in heart. It is not about what is easy for them it is about what the customer needs. We are a 27 year old company with over fifty telephones and the associated equipment required to support that hardware and our internet needs. In good times as we look to upgrade and in bad times when problems occur they stay until the job is completed. I can whole heartedly vouch for this team. We would like to thank CP&S for their highly qualified staff, and for all their help over the past 8 plus years. We are a mid-sized company that went from 12 employees to 35 employees and CP&S has been there the whole way to help us grow and maintain our phone system integrity along the way. I cannot speak high enough of the help we receive from the team of service individuals, they help when problems here are above my level of understanding. They are always prompt, courteous and professional. In a world of fast paced corporations who don’t know your name, they have maintained a professional yet personal approach to their service. We could not have grown as a company without their help with our phone system, programs and direction. When I transferred to another company, I contacted CPS again to see if they could handle the cabling and installation of a new telephone system during off hours. We could not afford to be without our telephones and computers during business hours. They were willing to take on the task of wiring our data and telephone cabling after hours. When we opened on Monday, a CPS representative was on site all day working with staff, training and answering all of their questions. If any problems or questions arise, they are always available via phone or email. For major problems, we can count on a service technician the same day to handle our needs. I would recommend Communications, Products & Services, Inc. to be your communications vendor no matter what the size of your business! For over 7 years, we have relied on CPS for telecommunications design and installation. They remain our trusted “go-to” partner because of their responsive service, expertise and benchmarking of best practices regarding system and call routing design. CPS has allowed us to get the most value and capability out of our system investment. We consider CPS to be a partner supporting our quest to improve our level of service to our clients and customers. Communications, Products & Services, Inc. gets a FIVE STAR RATING from me. When I needed a new telephone system for the company I was working with, I looked for a local company that could handle our needs. We interviewed several vendors, but CPS seemed to know exactly what we needed. They are very friendly, courteous and professional. They trained our staff and were always there when we needed support. The CPS team has always delivered above our expectations. Their professionalism and responsiveness are second to none. CPS has serviced our phones and security systems for many, many years. I look forward to working with them many years into the future.